Leading a student organization is much like running a business. Except most student leaders are doing it while also balancing classes, social lives and part-time jobs. Using U.OSU simplifies the process of managing a website and not to mention it is completely free. There are a number of features we’ve set up to give student orgs a versatile and all-encompassing web hosting service while simultaneously helping their professional appearance. U.OSU sites are multi-functional and can be set up as static websites, blogs, or a group site (or all three!). Most student organizations will see value in a static website or incorporating a static front page to a group blog. Check out this fraternity’s awesome page. The static site option is ideal for groups such as this one because you can just add and hide new content when necessary. 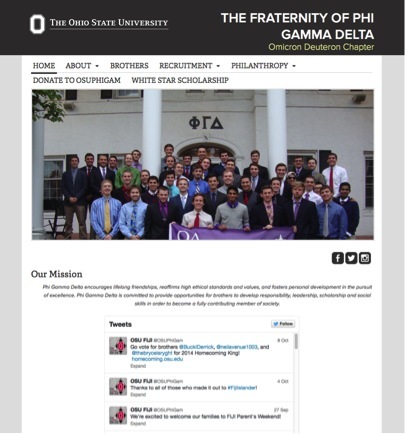 “Our graduate philanthropy golf outing had a registration page but now that’s over so we get rid of that page and replace it with a recruitment tab,” said Jacob Menken, the recording secretary for Phi Gamma Delta and primary manager of their website. Even if you want to have one page with blog-like updates, you can have multiple static pages, including a static homepage, like this postdoctoral association. 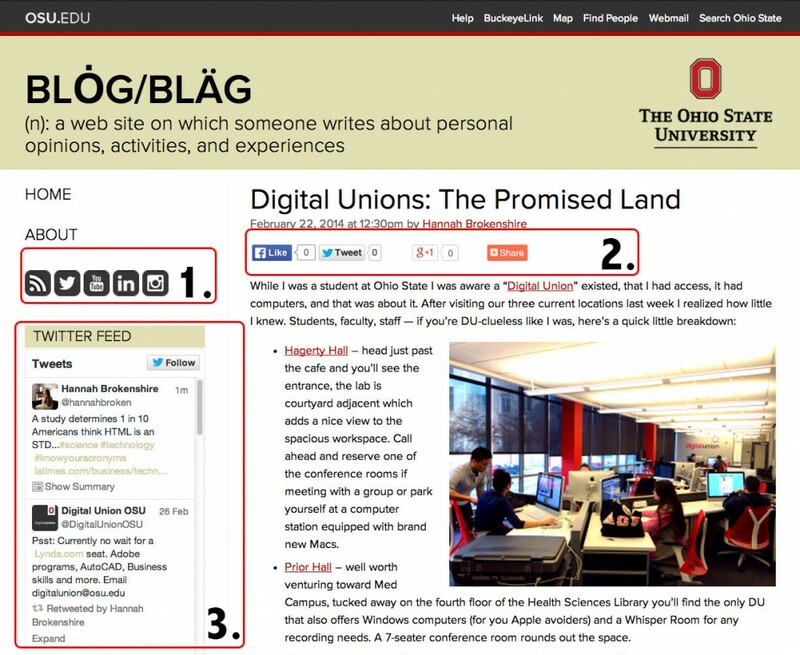 U.OSU is a WordPress platform so many students feel a sense of familiarity with the Dashboard and find setting up a site is simple with a little background knowledge or quick glance of the Resource Center, like this tutorial on setting up static sites and pages. Another valuable feature for student organizations is the ability to add users and assign roles with varied permissions. The roles range from an administrator, who has full access and control of the site, down to subscribers. These permissions make it easier to give members on an executive board the power to edit certain posts while the head of the organization can still filter and review content. So you’ve set up your U.OSU site, you have an About page, some snazzy Widgets, and a post or two. Now it’s time to work on increasing your social reach. Additives tend to have a negative connotation (no sugar added, etc.) but in this case, social additives can propel your site to the next level. Here are three simple steps to get you on your way.